We don’t yet know what Chris Queen was thinking when he pulled the trigger Oct. 25, 2017 and killed the mother grizzly northwest of Cody with one shot, orphaning her three cubs. The easy question is why didn't the off-duty warden with the Wyoming Game and Fish Department use bear spray? The U.S. Fish and Wildlife Service gave bear management back to the states last summer after 42 years of Greater Yellowstone’s bear population being protected under the Endangered Species Act. Wyoming hopes to commence a sport hunt of grizzlies as early as 2018. That this latest bear killing involves a Game and Fish field man and a sow with three cubs invites intense scrutiny. 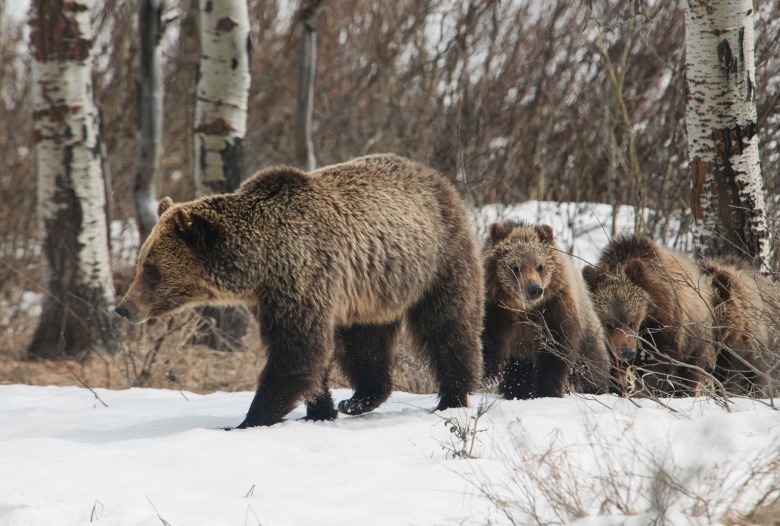 In 2013, a Game and Fish colleague of Queen’s, Luke Ellsbury who had been a state bear management specialist, also killed a grizzly east of Yellowstone National Park. He claimed mistaken identity, unable to distinguish it from a black bear. Pleading guilty, Ellsbury was ordered to pay $10,000 in restitution. Doug Peacock, the Vietnam medic and renowned bear conservationist who makes his home in Paradise Valley, Mont.,wants to know more details about what the bear was communicating in her body language. Peacock is concerned about the message this incident sends, which is certain to be invoked by other hunters who shoot bears. Grizzlies are slow to reproduce, he notes. The loss of sows that give birth to larger-sized litters of cubs can have huge rippling consequences. Wyoming officials have said they don't know what to do about the cubs. They would be hard to trap and if they are trapped they wouldn't be re-released to the wild, likely instead sent to a zoo or euthanized. If they are left to fend for themselves, they have a high probability of perishing. What it means is that the shooting of one bear actually means the loss of four, plus reproductive potential extrapolated out over time. Wildlife photographer Tom Mangelsen of Jackson Hole says killing a sow with triplets, as Queen did, is not insignificant. He points to famous Jackson Hole Grizzly 399 who, as a 21-year-old, has 17 different bruins descended in her bloodline. However, about half are already dead, mostly from direct human causes. Even in a population of bruins that the federal government and state agencies say is biologically "recovered", it doesn't take the loss of many female grizzlies to make the difference between a population that is rising or holding its own and one in decline. Kent Nelson, founder of Jackson-based Wyoming Wildlife Advocates, says that for decades Wyoming state government has treated grizzlies as non-revenue-generating management burdens. 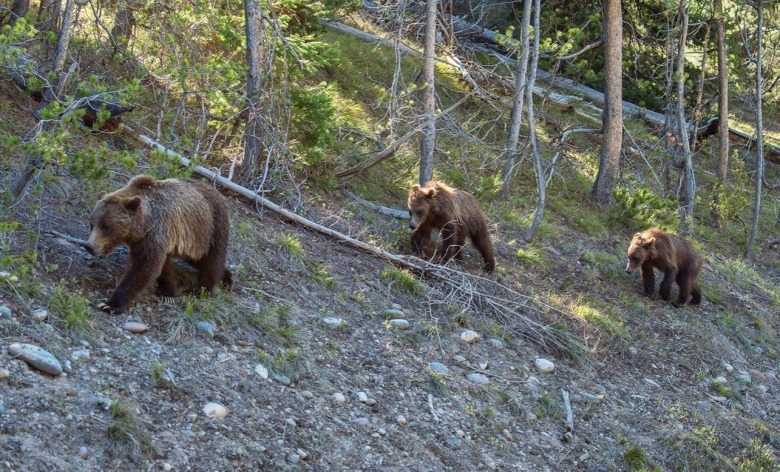 Seldom, almost never, has the state touted the fact that grizzlies in Greater Yellowstone are keystones for commerce in a $1 billion annual nature-tourism economy, with "non-consumptive" bear and wolf watching being marquee attractions. Rooted in a budgetary system that does not reflect changing times—fewer people in America hunt—Game and Fish relies on revenues generated from selling licenses, i.e. monetizing wildlife more on its harvestable value. It has also fueled a mindset that paints meat-eating wildlife—grizzlies, wolves and mountain lions—as competitors to hunters instead of as essential pieces in ecological systems. Conservationists worry that many hunters will shoot grizzlies and claim mistaken identity with black bears now that grizzlies are no longer federally protected—and there is a widespread public belief that penalties for killing grizzlies will be more lenient in cases handled by state courts. Is it true? Time will tell. Ellsbury invoked mistaken identity. 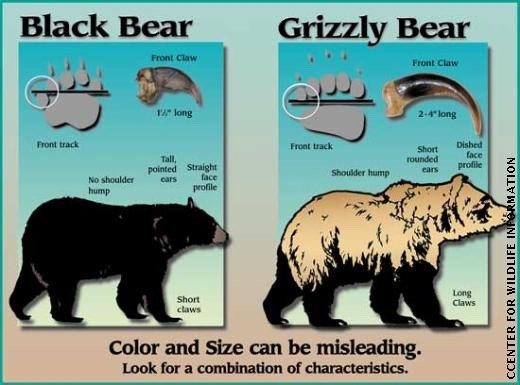 If an experienced Game and Fish biologist has difficulty telling the difference between a grizzly and black bear, what about average hunters or those coming from other parts of the country? Greater Yellowstone, in 1894, became the birthplace of one of the nation’s toughest wildlife protection laws—the Lacey Act, passed to address a rash of egregious poaching incidents occurring inside Yellowstone National Park and carried out by defiant locals in the region who resented the presence of the federal government. One of the most notorious was Edgar Howell of Cooke City, Montana, located just outside Yellowstone’s northeastern entrance. Howell was caught killing Yellowstone bison at a time when just a few hundred were in the park, survivors of a campaign of annihilation that nearly left bison extinct. Still there are people among us, and I’ve encountered a few of them, who do not respect public wildlife, who rationalize the poaching of animals such as grizzlies and wolves, who falsely believe that by being notorious outlaws, whether practicing shoot, shovel and shut-up, or blowing away lobos or even bald eagles, they are being macho or heroic. In 1995, Chad McKittrick of Red Lodge, Montana was charged and convicted for killing a famous Yellowstone research wolf—Wolf No. 10. He claimed that, while out on a spring black bear hunt, he mistakenly took the radio-collared wolf for a dog or coyote. He tried to dispose of the carcass but not before he skinned off the hide and brought it back to his home as a memento. One local rancher told CBS News that McKittrick should be given a medal, as a hero, instead of prosecuted as a villain. This is the kind of rural sentiment that game wardens confront every day and whether they sympathize with it is anyone's guess. A game warden, within wildlife conservation circles, is one of the most important jobs in civil service. Ellsbury nobly took responsibility for his actions and his words spoke to the profound sense of public shame he felt. Queen, too, has investigated and busted poachers. Like Ellsbury, he’s involved with wildlife management because he loves the work. And, like his colleague and repeating Thompson’s assessment, he ought to know he should be held to a higher standard. “In truth self-defense is not automatically justified. It is first invoked as defense to a possible crime—the illegal take—and it must be proven. Would a reasonable man in a similar circumstance have feared imminent mortal injury or would he have used bear spray?” she asks. Earlier this autumn, Game and Fish gave away 100 free cans of bear spray in Cody and they went fast when offered. Agency personnel have said that, as part of their public relations effort to prove they are up to the challenge of encouraging hunters to be responsible in the woods, carrying bear spray is important. Chuck Bartlebaugh, who heads a bear spray education program called Be Bear Aware, says it’s easy to speculate on what Queen should or shouldn't have done.